“Hey, Soul Sister” by Train is a “great” song. I expected to love Purity. Jonathan Franzen’s 2001 breakthrough novel The Corrections remains one of my favorite books, and I happily forfeited Labor Day weekend in 2010 to tear through Freedom as soon as it was released. I pre-ordered Purity after reading Caleb Crain’s convincingly ecstatic review in the Atlantic—“propulsive,” “exhilarating”—and I looked forward to its arrival all summer. But it took me more than a month to slog through Purity, and I did so with a growing sense of exasperation: None of the characters felt like human beings to me, I didn’t care about any of their predicaments, and what was with the long go-nowhere subplot about the stolen nukes? Just when it was time to be leaving, the band launched into a must-dance song, the soul-sister song. “Great song,” Pip said, dancing. They danced for half an hour while the rain came down and the San Lorenzo rose. First, let’s dispense with the obvious question. Is there any other song that “the soul-sister song” could conceivably be referring to? There’s “Lady Marmalade,” with the opening lines “Hey sister, go sister, soul sister, go sister.” But those lyrics aren’t central to the song, and it’s unlikely anyone would refer to it as “the soul-sister song.” There’s the disco hit “Soul Sister,” and the Ike and Tina Turner tune “Bold Soul Sister.” But neither of them would be instantly recognizable by a twentysomething couple, and neither of them have, as far as I can tell, been subject to “cooptation” by a car company. That leaves “Hey, Soul Sister,” a megahit of 2009 vintage which is therefore much likelier to make a hacky cover band’s set-list. For what it’s worth, Train is also a San Francisco band, and the scene in Purity is set in Northern California. Finally, “Hey, Soul Sister” was the backdrop for so many ads that it apparently inspired a (now-defunct) Tumblr complaining about the phenomenon. I rest my case. Give Franzen some credit for having Jason acknowledge that the lyrics are awful. I dare you to find a more revolting sentence in a radio hit than “My heart is bound to beat/ Right out of my untrimmed chest.” The song rhymes “soul sister” with “Mr. Mister.” Train frontman Pat Monahan, the mastermind behind previous lines like “The best soy latte that you ever had, and me,” has said that the lyrics to “Hey, Soul Sister” were inspired by what he imagined Burning Man would be like. So, yes, Jason, the lyrics are awful. But the benefit of the doubt ends there, because Jason goes on. By lamenting that the song has been co-opted for commercial purposes, he implies that it started out with a certain, well, purity. But Train songs are made for soundtracks and for advertisements; they cannot be “co-opted” because they are “opted” from the start. Reasonable people can, I suppose, disagree on whether “Hey, Soul Sister,” which the Village Voice declared the worst song of 2010, is “great.” So let’s allow that Pip and Jason just love it. This means they have terrible taste, but hey, they found each other, congrats to them. And reasonable people can also disagree about whether it’s possible to dance to “Hey, Soul Sister.” But the question of whether it is a “must-dance” song is not debatable: It is not. If Purity were a movie with similarly upper-middle-brow aspirations and the director had chosen to set a climactic scene of joy and catharsis to “Hey, Soul Sister,” it would be unforgivable. Is Franzen in on the joke? Perhaps his choice of “Hey, Soul Sister” is meant to say something meaningful about its central character? If so, the significance is lost on me. And it’s not terribly convincing; Pip is not a hipster, exactly, but she’s a world traveler who lives with anarchists and reads the Sunday New York Times in print. She is not a likely Train fan, whoever those mysterious creatures may be. In August, Franzen told the Guardian that he had considered adopting an Iraqi war orphan to help cure his “alienation from the younger generation.” His editor at the New Yorker, Henry Finder, allegedly talked him out of it by suggesting that he meet with some recent university graduates. 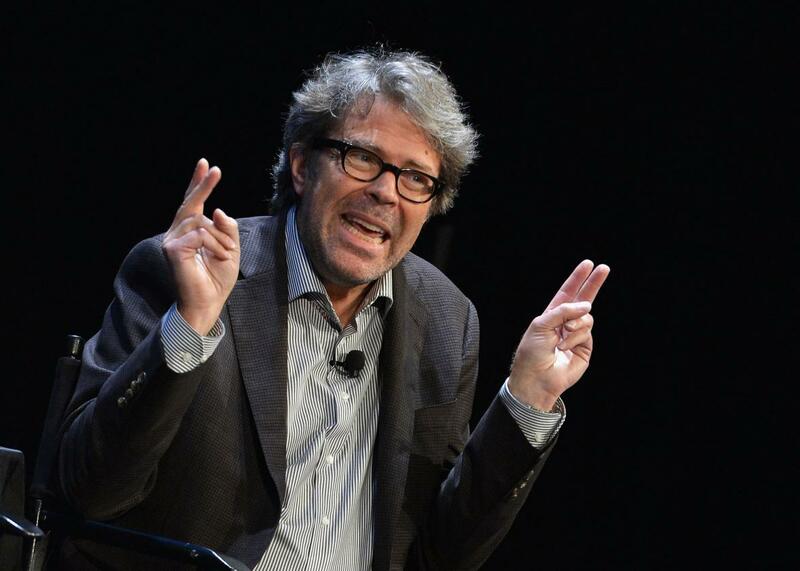 “It cured me of my anger at young people,” Franzen said. First, I am grateful for the confirmation that “a must-dance song, the soul-sister song” is indeed “Hey, Soul Sister.” That’s one mystery solved. Now, taking Zink at her word, does the song’s deployment in the scene read as a slam on hipster pretension, let alone a pointed one?